Posted in Agencies, Government, News, under North America. Tagged with Department of Commerce, Study California. In a letter seen by The PIE News, the group highlighted the successes of the US international education industry, which it said are in large proportion attributable to the support of the department. There is no official declaration that the department is to curtail its services to international education, but Study Hawaii president Joel Weaver told The PIE News that the industry has seen some ‘warning signs’ and received unofficial reports that this could happen. “In mid-December, I was alerted by [key figures within the department] that they were getting unofficial indications that the support of education as a service export was no longer going to be part of the mandate of the US Commercial Service,” Weaver told The PIE. As part of its report cycle, Weaver explained, the department publishes reports of success stories in service exports. Also, Weaver said he has encountered some hesitation from overseas partners who were formerly collaborating with US education institutions. “We were looking to send someone to Japan for an event, and I was talking to one of the people in the embassy in Tokyo, and they said ‘we are not really sure how overt we can be, so you may have to work more with the consulate staff’,” he told The PIE. 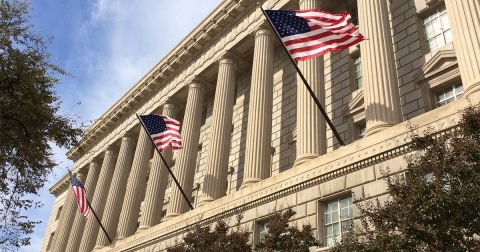 The support of the US Commercial Service, the international trade promotion arm of the Department of Commerce, is vital for the international education industry, Weaver said. The development of the study state consortia was also supported by the US Commercial Service, Weaver said. “We were glad to be a signatory to the letter that our colleagues in Study California drafted,” he concluded. Representatives of study state consortia are due to meet officials in Washington DC next week. The PIE News asked the Department of Commerce for comment, but they were not immediately available. The U.S. Commercial Service has been extremely helpful and knowledgeable about international education around the world. This service has helped increased international student enrollment at many universities which in turn increases funding to the cities and business where these universities are located.